Amazon wants to make sure the men of the world are dressing well. 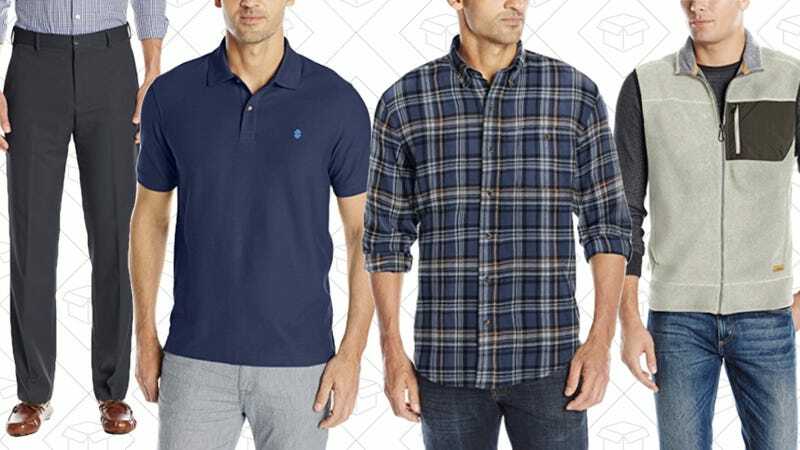 Pick up shirts, slacks, polos, and more from this one-day sale on apparel from IZOD, Van Heusen, GH Bass, and more. You’ll basically never take more than 20 minutes to get ready again, which still astounds me as to how you do it. Here are a few styles to check out, but definitely head to Amazon to see the rest, including a good selection of Big & Tall items.